Rolled out my garage and right onto the Rat Pac climbers trail! Loving this east side living. Quick hike out to Ancient Lake. Nice being able to easily day trip this area now. Missed the rain storms. Summit's longest hike to date too! 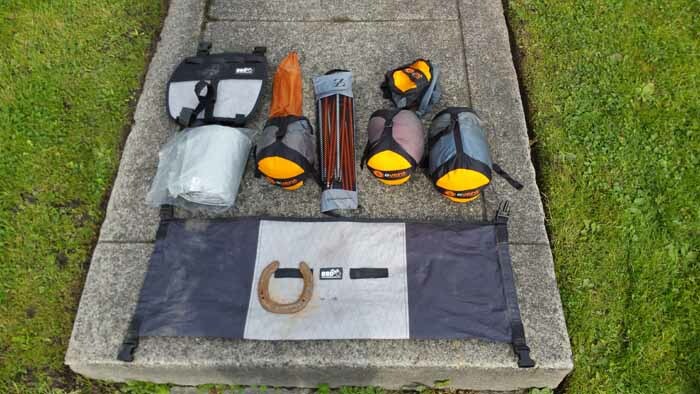 This will be my 7th and last but not least (for you gear heads) post on the John Wayne Pioneer Trail bikepacking trip. (However I may try to put together a quick list of the essential planning and route notes in an 8th post if people are interested). 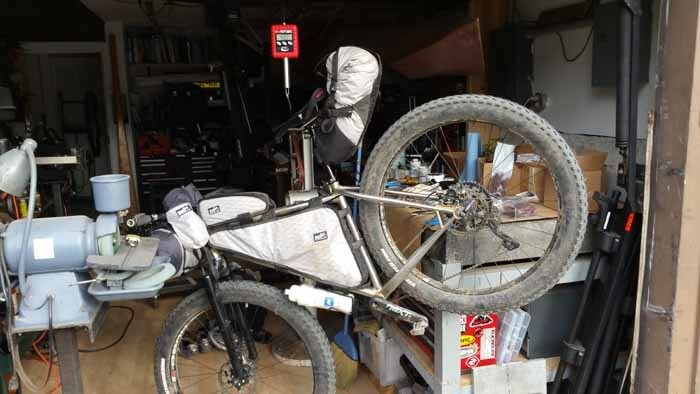 In this post I’ll go over exactly what I carried with me on the trip and how my bike was set up. Thanks again for following along and I hope to continue to blog about my new adventures. Starting off here are some pics of my bike bag setup. The bags are from Bike Bag Dude from Australia. Their Facebook page is the most current for pics of the bags in use but you can also visit their website. I highly advise you to check out Ergon Grips. No I’m repping them. I paid hard cash for them and they were worth every penny and then some. They give your palm that much needed support allowing you to reduce the pressure on your ulnar nerves, preventing numbness. The Chaff Bags and the “Garage” Top Tube bag were valuable pieces of kit. In the Chaff Bags I carried an extra water bottle (which had recovery drink in it), snacks for the day, multi tool, phone (which was my daily camera) and the Delorme Inreach GPS/satellite unit. I moved things to the “garage” TT bag when it was rainy and packed that with more snacks. The key with these three bags was convenience and accessibility. 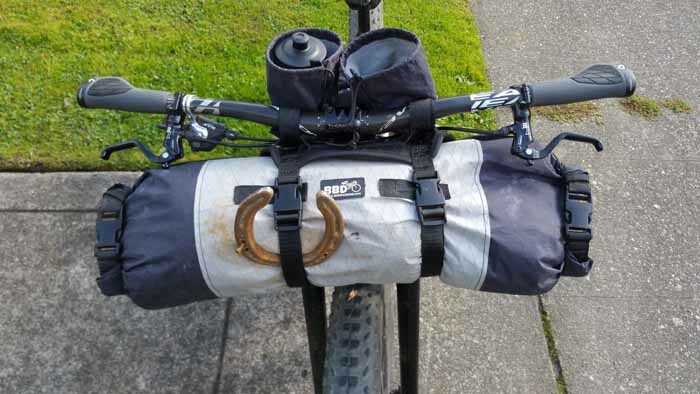 Here’s the fully custom front triangle frame bag. It was custom made exactly for the measurements of this frame for a perfect fit. You can also see here my extra water bottle holder on the down tube of the frame. It was rarely used but a nice addition when you’re away from a clean water source. 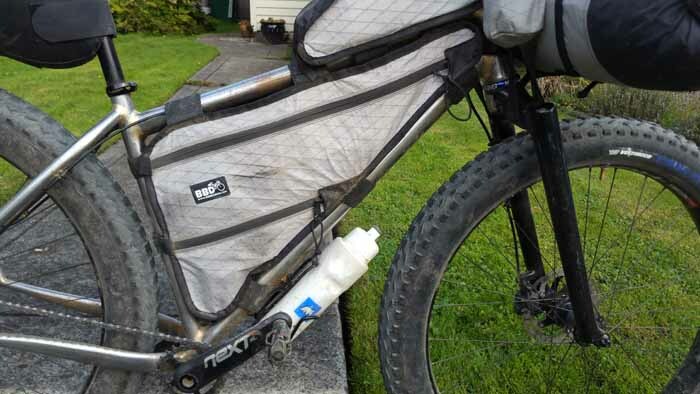 This is the Gear Jammer Seatbag by Oveja Negra Products which was made from the same exact material to match and is supplied by Bike Bag Dude as well. I used a Race Face Next SL carbon crankset with a 26 tooth Narrow Wide chainring and a 42t Giant Cog/XTR cassette. 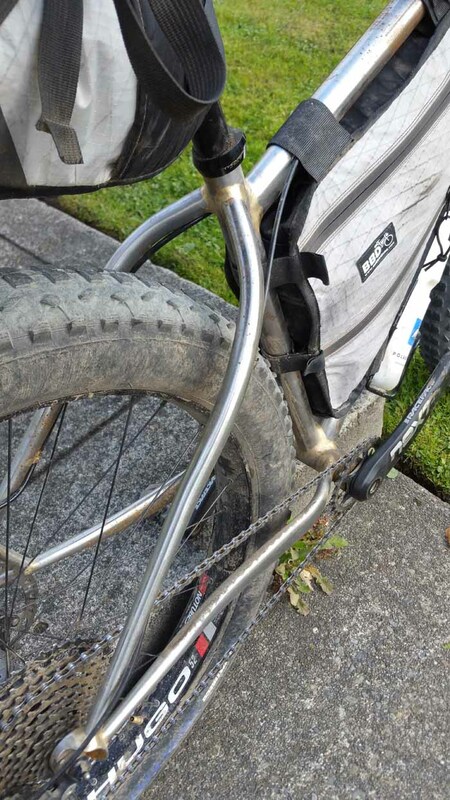 Here in this pic you can also see that since it’s made to normally be a fatbike, there is a ton of clearance around the tires for a portaging handhold while using the 27.5+ wheelset as shown. The wheelset was a Stans Hugo 27.5+ tubeless rim set up with a 3.25 tire. This setup was perfect for this trip. 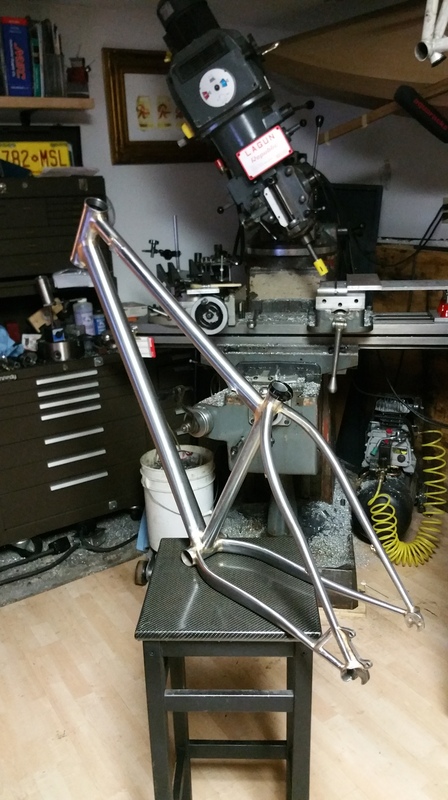 29+ will also fit in this frame and is on my wish list of things to add to this bike. That gives you an idea of what the bike setup was like. It was pretty slick. I’d highly recommend this type of bike if you plan on riding the entire way. 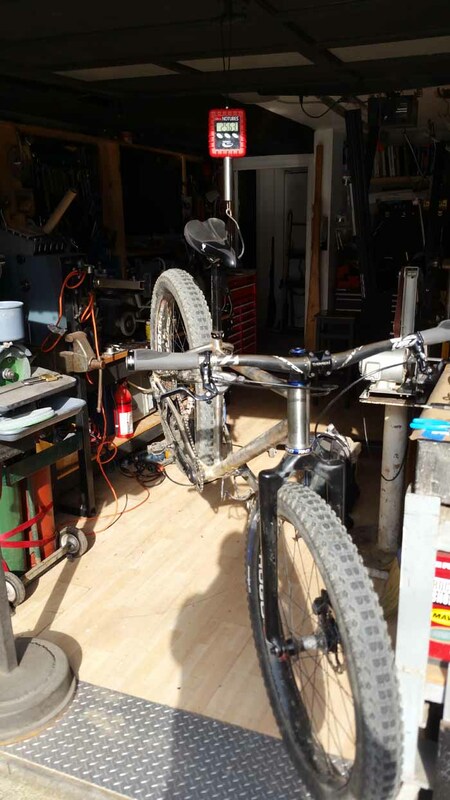 A cross/hybrid type bike may be doable but really I wouldn’t try it with anything less than a mountain bike with the widest tires you can fit, and preferably set up tubeless. 48.87lbs. Not bad for a fully loaded steel B+ bike with full camping gear for nearly a week! The bike alone weighed 25lbs. 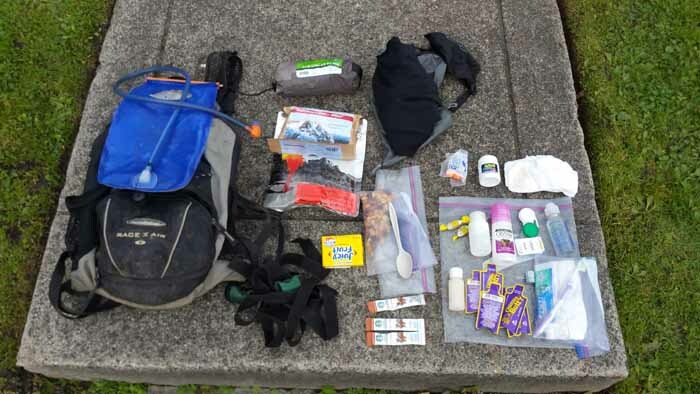 So including some more food and water that was on my back I’d say I had about 32lbs of gear and food/water with me at any given time. Please excuse the dirty workshop 🙂 It is the birthplace of this frame though! Next, I’ll start detailing what was in each bag. Here’s the entire kit layed out. 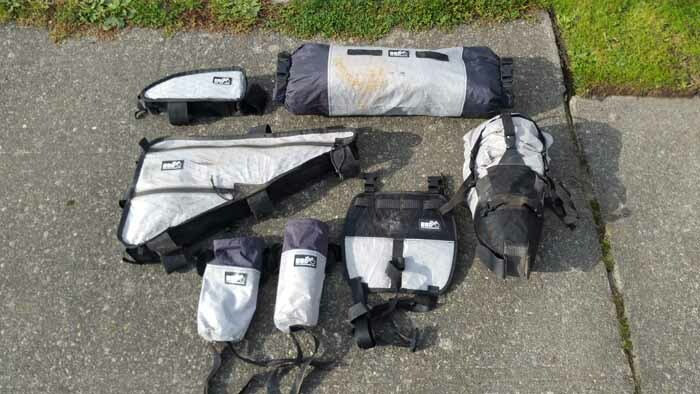 The price of a full bikepacking kit like this would be more expensive than a double rack and pannier setup but not by much. 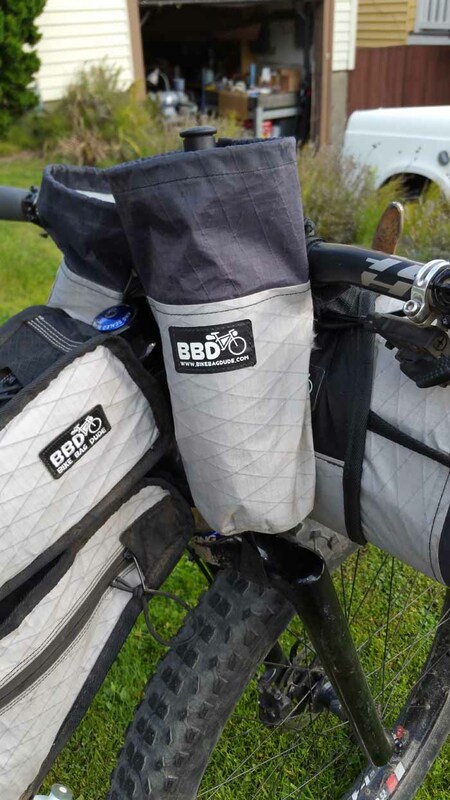 The reason we use a kit like this is to keep everything as close and tight to the bike for when you are riding trail or portaging a bike (it can be hard to push or carry a bike with racks). It’s usually lighter and can be more reliable as well. It’s very modular and portable. I put a lot of this stuff on all my other bikes and road bike for day rides too. Here we have the front triange bag. For the most part I had these items in it. Crank Brothers High/Low volume Pump, patch kit courtesy of NWBIC, 2 tire levers, zip ties, duct tape wrapped around a lighter, extra chain links, master link, Hayes disc brake pad reset tool and a small bottle of lube. 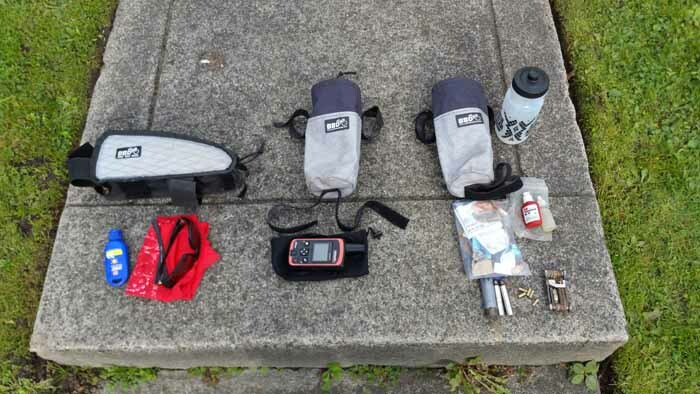 Sawyer Mini water filter and fill bag, sunscreen, headlamp, rear blinky,Anker 21000 mah battery pack which lasted for 4 days charging my phone/camera and Inreach, snakebite kit and directions for the Deloreme Inreach and maps. 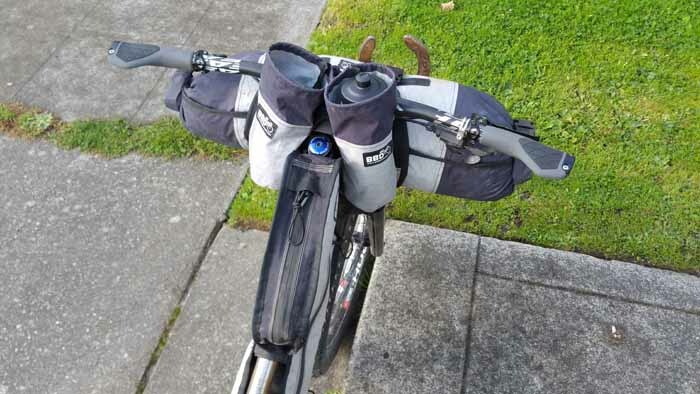 The Bar Roll was another very important bag to the system carrying my entire sleep system cleanly off the handlebars. Full Length Cascades Designs Neo Air which weighs nothing…thing is noisy though!! One trusty found horse shoe pointed up to catch the good luck. 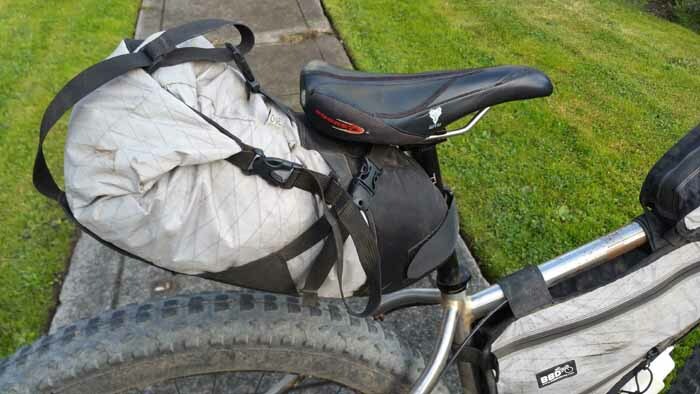 It was worth it’s weight in gold… The seatbag was yet another big player. 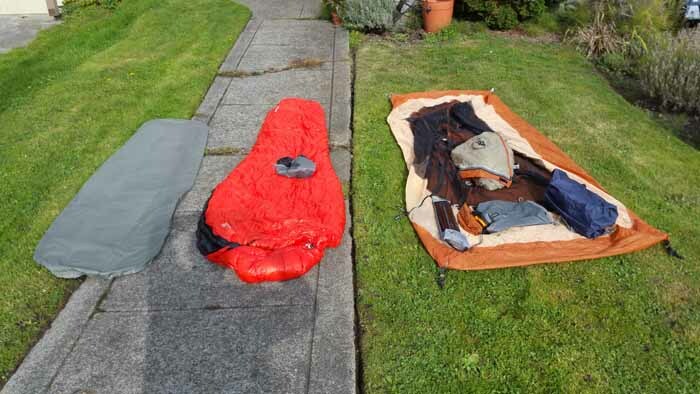 It allowed for me to carry all my clothing tucked behind out of the way and also detached easily at night to bring into the tent. 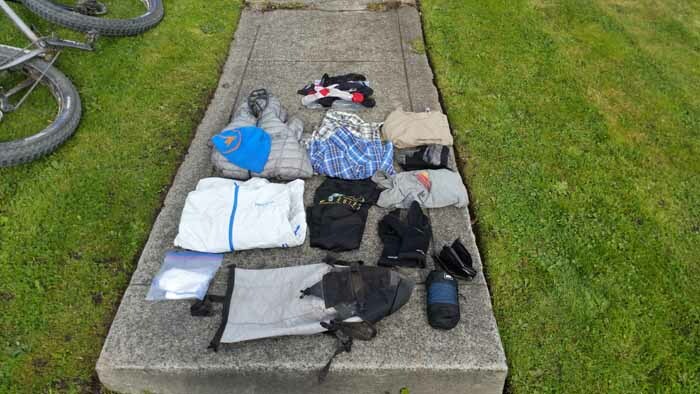 Two button up synthetic shirts, wool ski socks, 4 pairs of cycling socks and an Icebreaker merino wool t and shorts to sleep in. 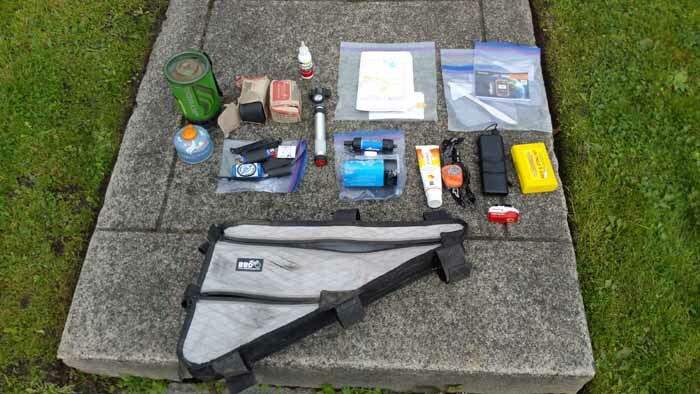 The “Garage” top tube bag and Chaff Bags held the electronics, extra water, lube, multi tool, Delorme In Reach navigator, phone, sunscreen, sunglasses, hankie, extra food and snacks for the day plus misc shell casings I found….Hey, I’m like a crow. I pick up shiny things. Bathroom bag had Chamois Butter cream (for the rear end and rubby bits, toothbrush and toothpaste, deoderant, lotion, contact stuff and extra eyes, cough drops (since cold mornings and snoring all night can really do a number on your throat lol), Tylenol and Ibuprofen and ear plugs. Here is what I wore every day. 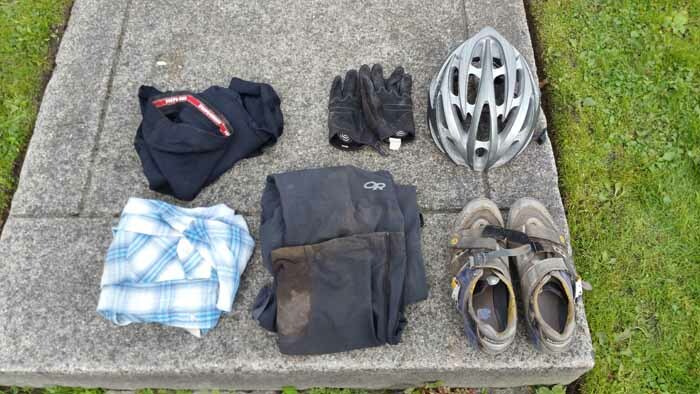 In the next few posts I thought I’d just layout all the gear as it came directly off my bike….the good the bad and the ugly 🙂 I’ll start with the bike and it’s construction and then I’ll post about the gear next. First up this is my bike that I handmade here at my home just for this trip. I nicknamed it “The Duke” for obvious reasons. 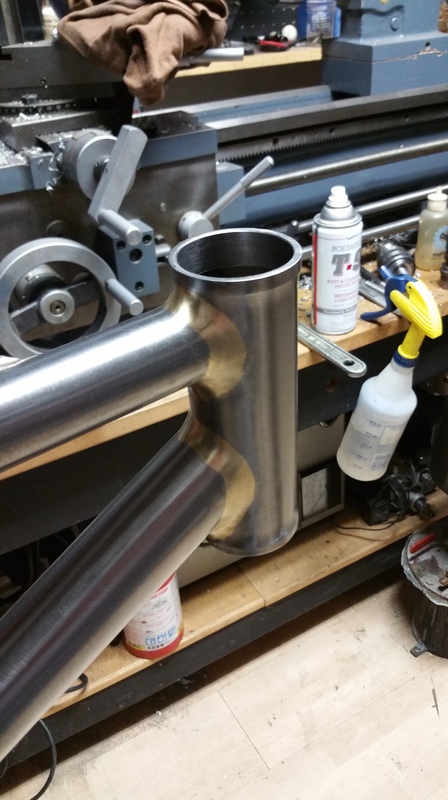 One of the cool features I put into the build was the internal cable routing on the top tube called the “Double Barrel”. 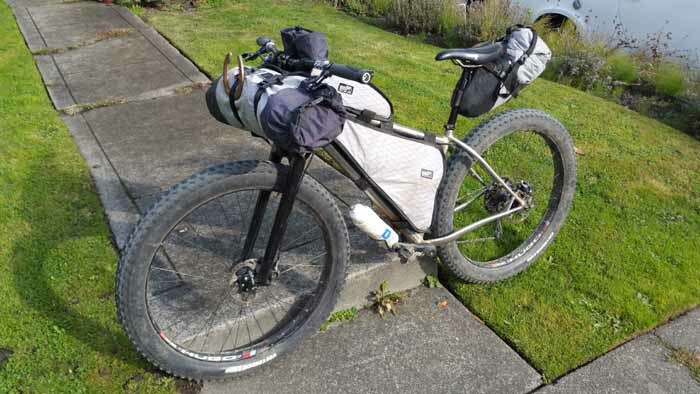 It’s built and meant to be a fatbike but works perfectly for a bikepacking rig with my 27.5+ wheelset and tires. This wheel size is the same diameter of a fatbike tire (29er) but a bit narrower in width. This results in a very fast and light high volume wheelset that doesn’t change the handling of the bike. And the perk is when the sand or snow are calling all I have to do is swap wheels! The extra wide seatstays are also an excellent portaging handle when we had to lift the bikes over the gates. This part is quite tricky. I have two very thin wall tubes (.014″) in the top tube where they both start in one spot and exit 180 deg from each other all while not touching each other or the main tube wall and not crimping the tube…sheesh! I think the Duke would’ve been proud of this! The internal brass tubes run the entire length of the tube so the housing is ran without having to fish it through a small hole. This is one cool feature they haven’t figured out with most carbon frames yet. You have to spend all day running wires and digging for housing. The frame was built in sections. 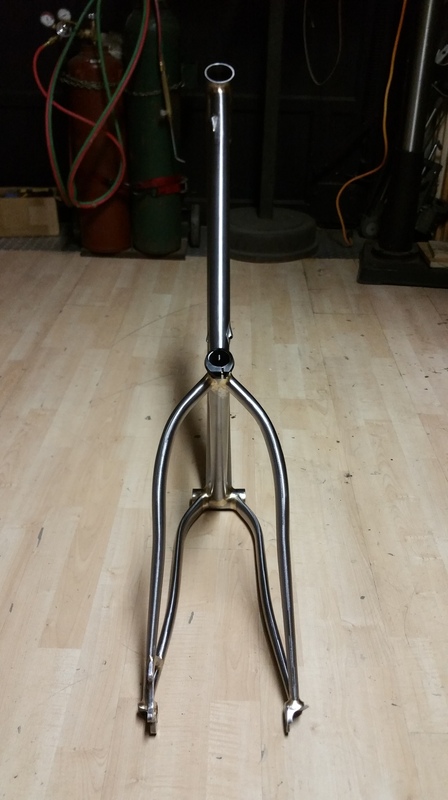 First the front triangle, then chainstays and finally seatstays followed up with brazeons and disc mount etc. 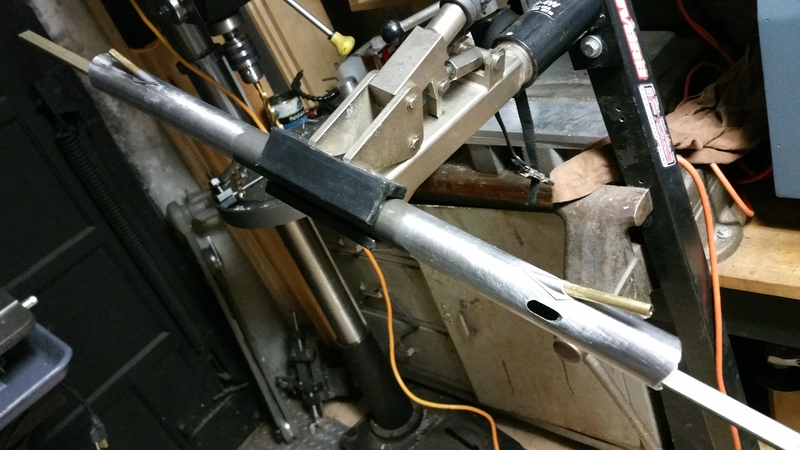 This is the chainstay mitering procedure. A bit crude but quite accurate and repeatable with this setup. 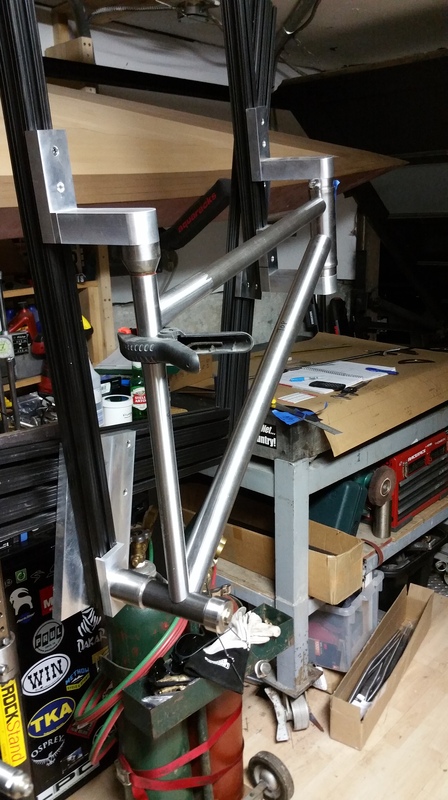 Here are some shots of the finished frame. All said and done this one took me about two weeks to make in my spare time. It’s all butted 4130 cromoly with bits from Paragon Machine Works. Done. This build with no stay bridges. 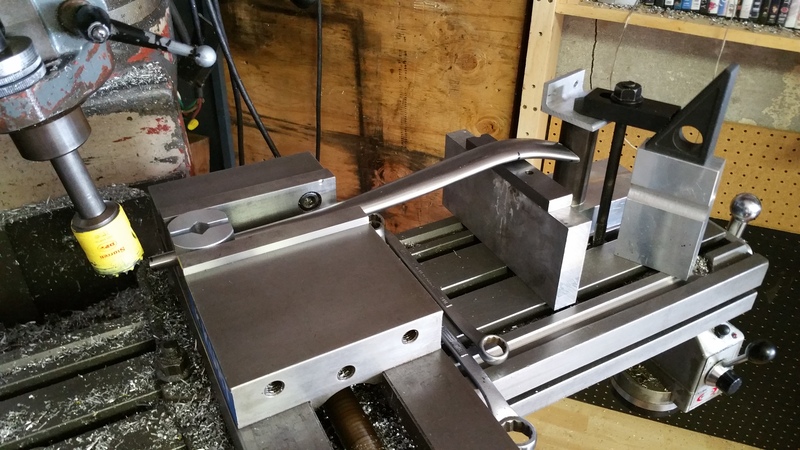 Worked pefect with lots of clearance and less crud build up. 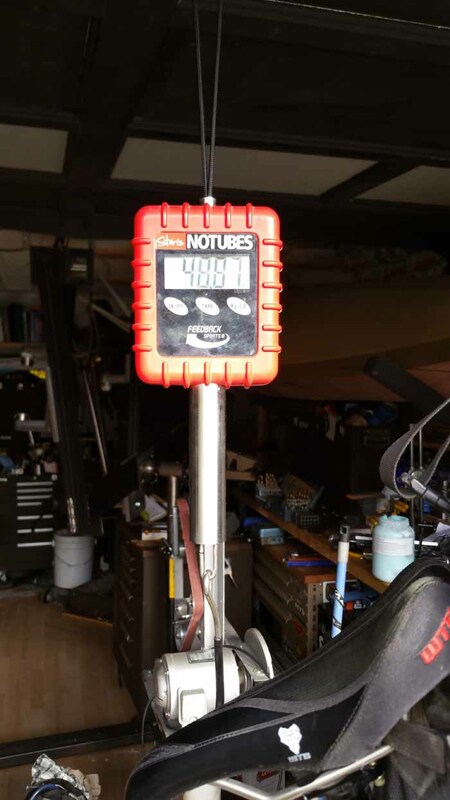 The final bike weighed in at 25.63 lbs! Seriously not bad for STEEL and large volume tires! 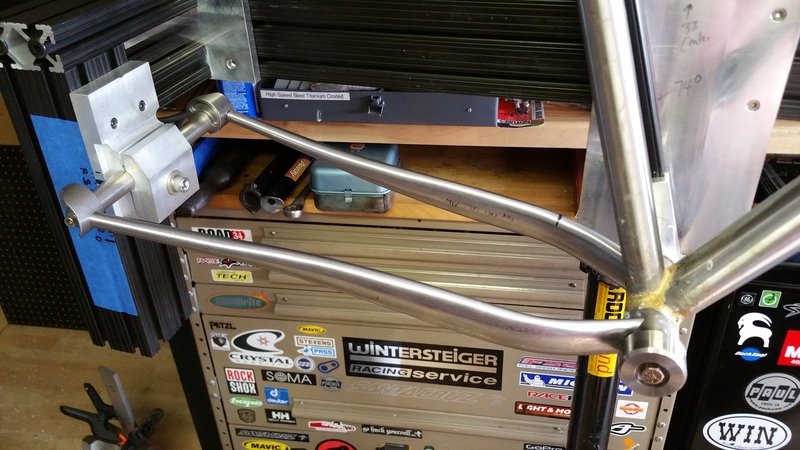 I know some road bikes that weigh way more than this…..
Frame: Steel custom hardtail fatbike. 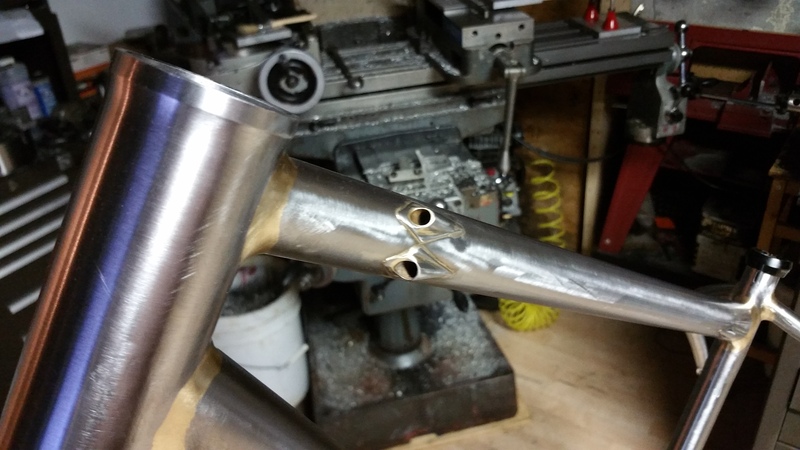 Fillet brazed 4130 chromoly. 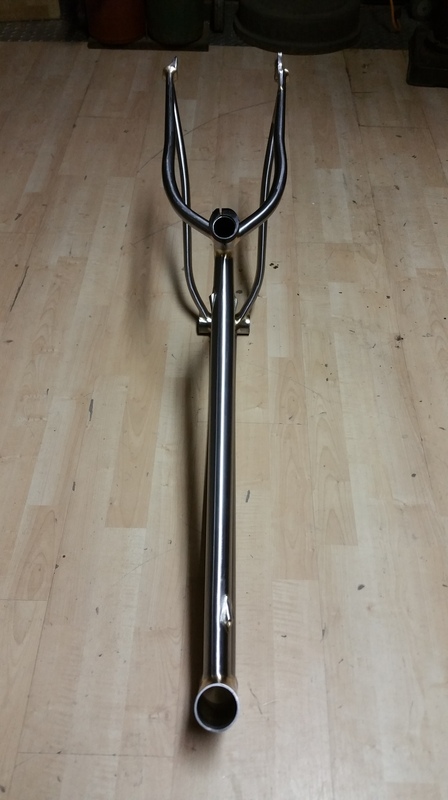 18″ seattube and 22.5″ tt. Geo: 69deg HT and 74deg ST. 440mm stays with room for 5″ Dillingers on 100’s. Wheelset: Stans 27.5 Hugo tubeless rims with Hope Fatsno hubs 170/135. 3.25″ Vee tires. The full tubeless setup with Stans fluid was unstoppable. It got us through the hundred plus puncture vine thorns (goat heads) with zero flats…just some touching up of psi. I can’t stress how important this was to our trip. Gearing: Race Face Next SL carbon crankset with 26t NW ring matched with Giant Cog 11-42 10speed rear cassette, XTR rear clutch derailleur and XTR shifter. 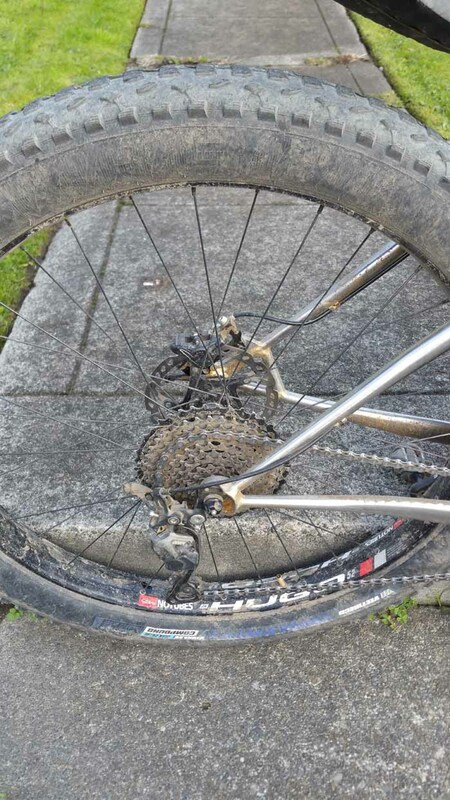 I had a full XT/XTR 1×11 drivetrain sitting at home right before the trip but thought I better not change the drivetrain. That was a BAD call because I forgot that my Wolf Tooth 1st gen giant cog didn’t come with the supplied 16t cog. So I had a big just between my 13 and 17…basically the 15 was what I would’ve done the ENTIRE trip on but was stuck one gear too high or one gear too low…oh well I made due 🙂 It’s basically the same issue I ran into the beach trips…still haven’t fixed it haha. 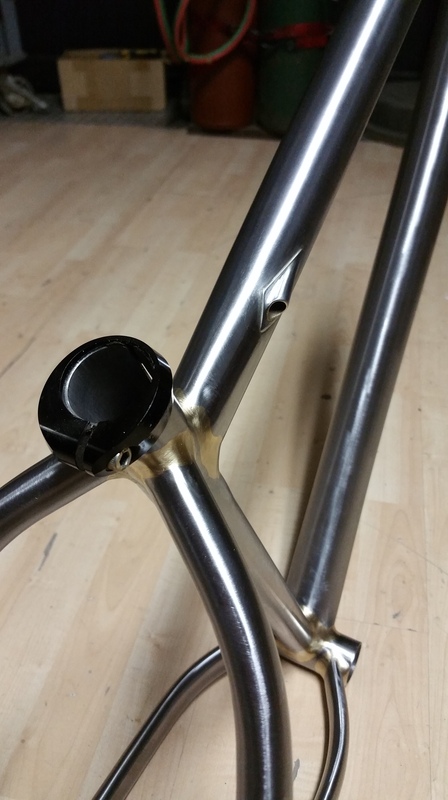 Small Parts: Chris King Inset 7 tapered headset. Thomson stem and seatpost. 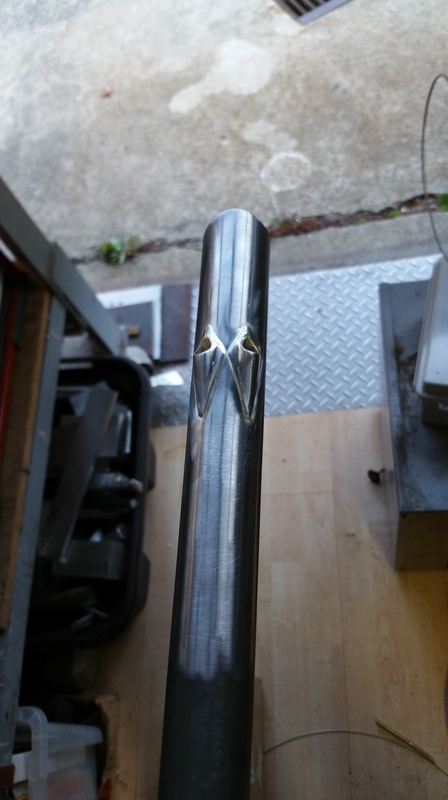 Easton Haven carbon bar. WTB Rocket V Ti and last but certainly not least, Ergon grips. They were life savers on all that rock! I’d go as far as to say they were nearly as effective has having a suspension fork for the comfort part.